Top Rated Asphalt Repair in Southern Indiana & Louisville Area| Libs Paving Co. 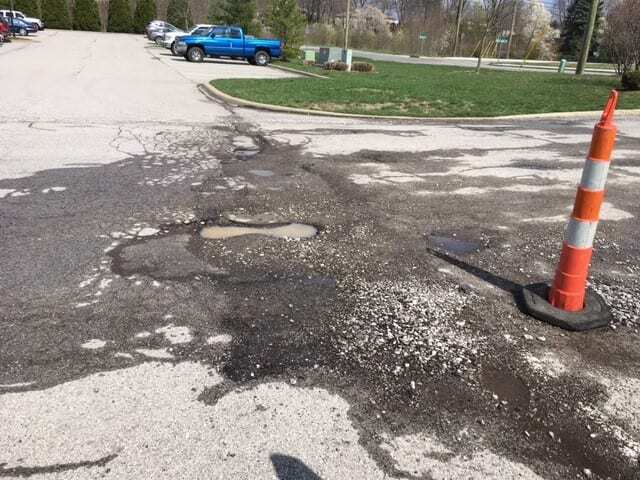 When asphalt deterioration is severe but complete asphalt replacement is not needed, mill and patch is a simple and cost effective asphalt repair solution. This process starts by the top layer of asphalt being ground down (milled) and cleaned thoroughly to ensure adhesion with the bonding material and patch. In low, cracked or deteriorated areas, asphalt is milled to a level that will integrate the patch with concrete, loading docks or any other structures. Often projects require some mill and patch repair prior to a sealcoat. The mill and patch process may also be used to resolve water flow issues. Fixing potholes and asphalt failures is a common need for our region. There are many types of asphalt failures. Potholes, cracking, and rutting are just a few. Potholes are formed when water gets under the pavement and to the sub-base through cracks in the asphalt. The water loosens the sub-base and in the winter freezes, causing frost heaves. When the freezing under the asphalt thaws out you are left with a void. The weight of cars and the asphalt itself sinks into this void, causing asphalt cracking and eventually a pothole. Asphalt repairs can be done in a variety of ways. The most effective method is by cutting out the failed area by saw cutting the asphalt, excavating out the damaged area, repairing the sub-base, and then paving the area. 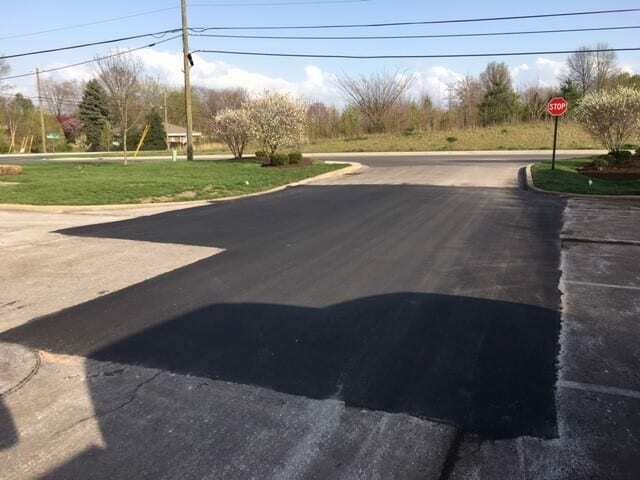 When the patch is complete it is important to seal the edges with an asphalt emulsion tack (asphalt glue) which bonds the seams of the new and old asphalt. Libs Paving can handle any asphalt repair and patching that you need. All jobs are important to us and we put as much importance into our asphalt repair work as we do our major paving jobs. Asphalt resurfacing can be a cost-effective alternative to completely replacing an asphalt surface. Our professional estimators can help you understand your options when making the decision to repair or replace your existing surface. If your asphalt has deteriorated past the point of sealcoating, Libs Paving’s trained and experienced estimators can review your specific situation and recommend whether resurfacing is an viable option. Let the Libs Family Assist You With Your Next Project. Contact Us Today! © Libs Paving Co., Inc 2019. All Rights Reserved.